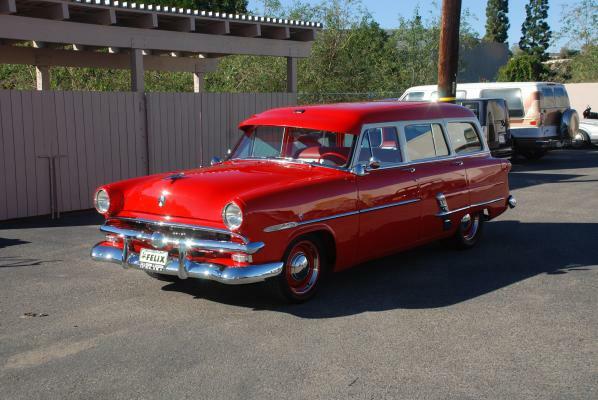 This a 1953 Ford 4-door station wagon. This wagon was done by another shop and brought to us for a few upgrades. 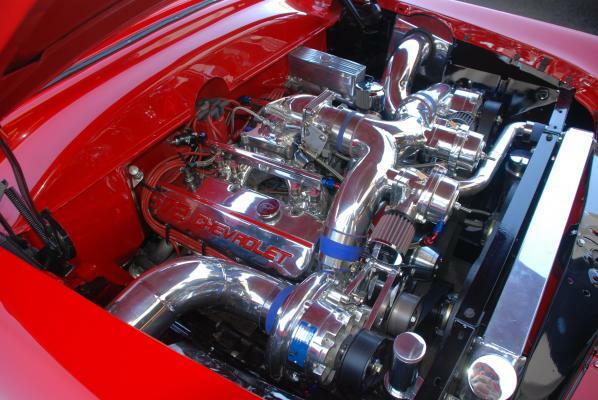 Fast fuel injection and twin Vortech Y-SI super chargers. 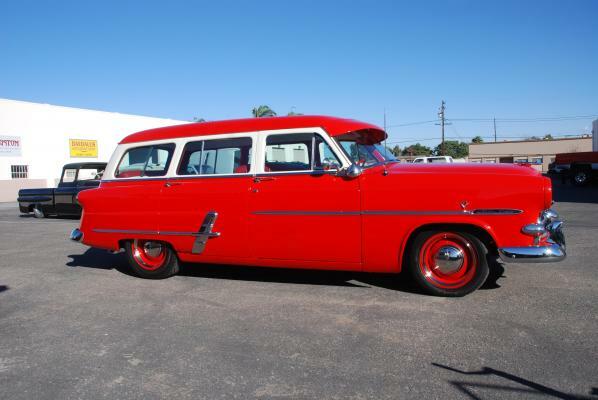 Luckily this wagon was outfitted with an Art Morrison chassis so at least it handles well. 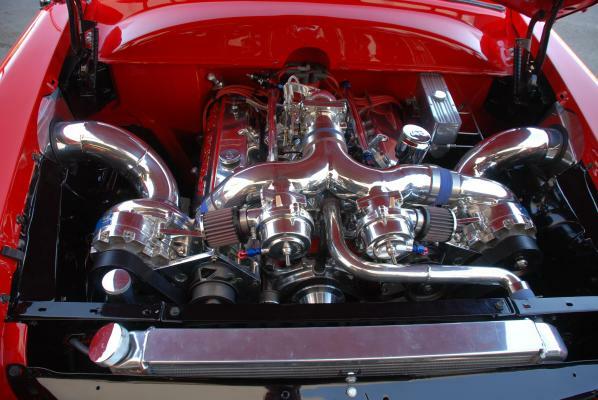 The engine is a GM performance 572-620hp crate engine. It had a 200r4 transmission that gave up the ghost as soon as we put a little power to it. It was upgraded to a 4l80e with a 2500 stall converter. 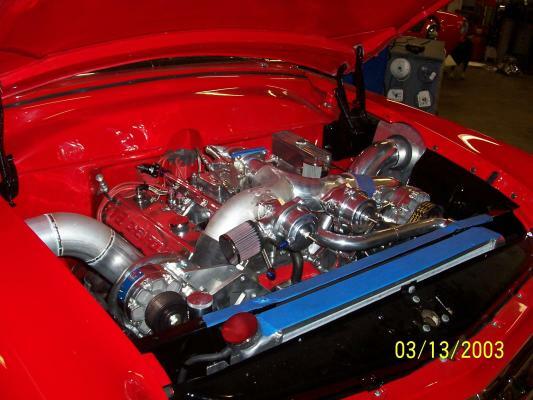 We started with the stock GM intake manifold and modified it for fuel injection. 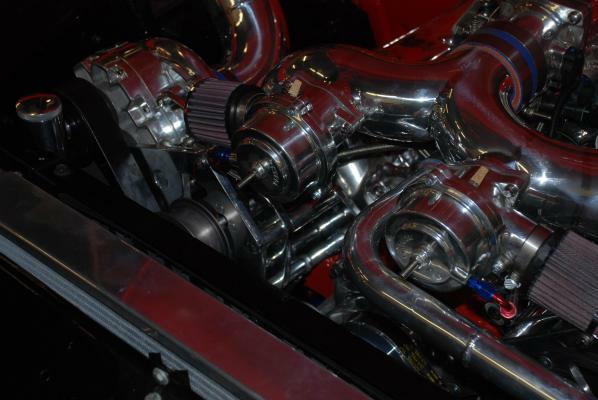 We used a 75mm throttle body to keep response up.The bracketry for the twin super chargers was fabricated at Bones. We used the stock fresh air vents to force cool air into the K&N filters. The whole assembly was polished for good looks. 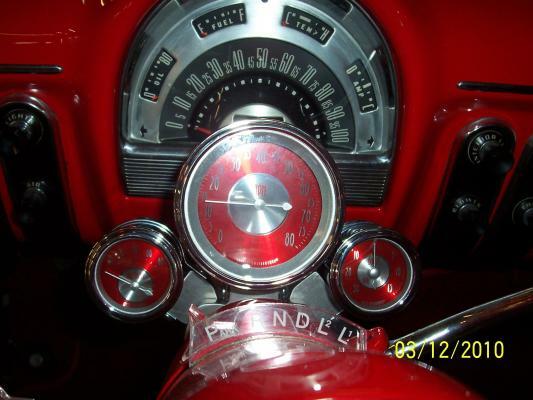 We also added a couple of Custom Classic instrument gauges to monitor the beast. Very well done car that is a blast to drive.. Way faster than a wagon should be.